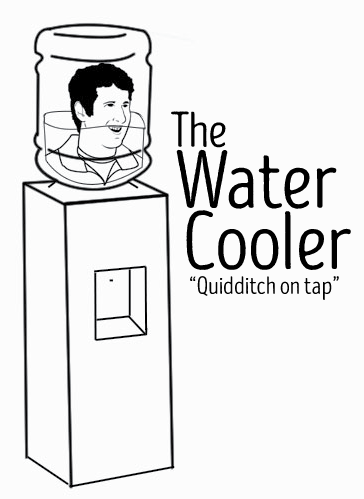 Welcome back to the Water Cooler. It’s been a couple of weeks—my apologies for sticking you with Max Miceli last time—but we’re back and ready to continue with our overanalyzed, generally inaccurate analysis. With Wolf Pack Classic and Oktoberfest taking place this past weekend, there’s plenty to break down, but let’s take a step back for a minute and look at the big picture. Over the last couple of weeks, two major tournaments have been announced in Texas. The first, the Bat City Showcase on Jan. 30, is a 10-team invitational for community teams only. It will feature at least six of the top 10 teams in our rankings, including the LA Gambits, Lost Boys Quidditch Club and Quidditch Club Boston: the Massacre, along with the Southwest community squads. The second is a Division II-style tournament in April being hosted by Texas State University. The tournament hopes to draw in teams that failed to qualify for US Nationals and, if successful, would be the first truly national iteration of such a tournament since there was a Division II at World Cup VI. Both tournaments are incredibly valuable events that people have been clamoring for for years. Each will undoubtedly be well-run, but the question is, why isn’t USQ running them? To some degree, whether it’s a full split or only a split for Nationals, the separation of community teams and college teams is imminent. It was covered by just about every person who writes about quidditch, and even made it into the USQ strategic plan. But, since weaseling its way into that plan, we haven’t heard one more word on the subject from our governing body, even as this season becomes more and more hellish for college teams. The eight community teams in our top 10 are 33-2 this season against college teams, with both losses in snitch range and coming against the Universities of Maryland and Texas, each of whom were Final-Four teams last season. 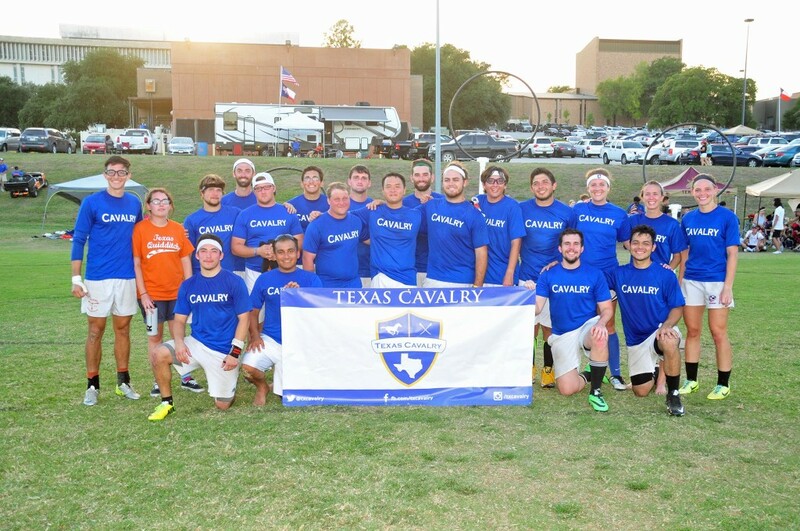 The 33 wins, meanwhile, include just one snitch-range game: Texas Cavalry’s first win over Baylor University at Wolf Pack Classic. Cavalry would come back to beat them again, 130*-40, a few hours later. With no answer in sight from USQ, Lone Star Quidditch Club took it upon itself to create a tournament that would feature all of these top teams, with a condensed format that will make it far more interesting than anything US Nationals could ever be with its bulbous 60-team field and inconsequential pool-play rounds. That the tournament will be played in Austin, a major city with a culture for accepting new and interesting things, on the campus of Electronic Arts — parent company of EA Sports, makers of the Madden series — is just icing on the cake and the first real chance — other than that snapchat story — for our sport to be back in the national eye since the New York City World Cups. USQ argued that splitting the league this season would be too rapid, that there aren’t enough community teams to make it viable. Yet here we have 10 teams flying to Austin for a non-mandatory tournament, just six months after many of these players spent all summer driving every weekend to compete in MLQ matches. The Division-II tournament, meanwhile, could lay the foundation for true expansion going forward. In the current model, there is so little incentive for new teams to go official, especially with, for so many teams, the season ending with a regional exit in November. USQ has the resources to run its own Division II, and yet here were are, with the player base forced to pick up the slack while USQ remains silent. The question going forward, it seems, is what is USQ’s purpose? When the player base speaks out, USQ often leaves it to figure things out by itself. Sure, US Nationals is the most prestigious tournament in the country, but even the regional championships are regularly trumped by average tournaments ran by unpaid volunteers. USQ’s model works for the very top college teams, but it doesn’t work for community teams, it doesn’t work for lesser college teams and it doesn’t work for expansion. Whether the league will remain in control of all four is a question we all will have to think about moving forward. Stop me if you’ve heard this one before: There’s a clear top team in the nation, they’re undefeated and they’ve been beating up on everyone without breaking a sweat. An Augustine Monroe-led team, as heavy underdogs, comes up against them, exposes some chinks in the armor and walks away with the first victory anyone has scored over the team that season. This past weekend, No. 6 Texas Cavalry ended the admittedly short undefeated run of No. 1 Lone Star with a 120*-90 victory in the semifinals of Wolf Pack Classic. If that feels like déjà vu, it should: this is the third consecutive season Monroe’s team has handed the Southwest’s top team its first loss, with his University of Texas squads beating Texas A&M University at World Cup VII during the 2013-14 season and Lone Star at Alamo Cup during the 2014-15 season. That said, Alamo Cup was in February, and World Cup VII obviously wasn’t until April, so the very first official tournament of the season was a little earlier than expected, to say the least. People who saw Cavalry competing with the upper echelon this season saw them maybe doing it by the Southwest Regional Championship, if that. So what changed? Well, we can start with the obvious. As has been stated, on many occasions, Lone Star was far from full rostered. Its generally average beating game was missing multiple key pieces, and Stephen Bell — one of the top three keepers in the game — wasn’t in attendance either. Cavalry also isn’t a bunch of brand new players like the Texas teams of recent years have been in the early season. It is a bunch of experienced pieces — and a couple that have only played pickups — that could be placed into the system. Those two facts alone close the gaps between the teams significantly. Even so, it’s important to credit the way in which Cavalry went about winning this game. The hot take from Facebook was that Monroe at beater dominated the proceedings but from watching the tape — which is admittedly way too zoomed in and loses a lot of the beater play — that doesn’t seem to be the case. Monroe is beating in a very Northeast-style, often further up the field than the quaffle, and that can give off the appearance of controlling the game. But when We Breath Quidditch’s numbers come out, I don’t expect the match to be that far from a push in the bludger game. What really swung the game is the way Calvary executed in the half-court against Lone Star, a historically difficult thing to do. The game plan seemed fairly straightforward: eliminate the top point defender, particularly with Simon Arends on the field, and take advantage of the chaos in the adjustments. They did this in a number of different ways, from field-swinging passes to screens to beats. And, quite simply, Lone Star failed to respond. Cavalry keeper Cole Travis, formerly of LSU and Clone Star, completely exposed Kody Marshall in one-on-one situations, and generally got within range of a high-percentage shot at will in what may have been the strongest performance of his career. But the ugliest play came with Marty Bermudez holding possession at the top left of the zone midway through the match. A beater came over to beat Marshall, who moved to his left to dodge. The Lone Star beater committed too hard to that action, leaving Bermudez to drive the wide open lane for the easiest 10 points he’s probably ever gotten in such a competitive match. Offensively, Lone Star’s pass-happy offense definitely felt the loss of Bell and Becca DuPont, who was forced into beating for the match, leaving Chelsea Lorenz to have to play basically the entire game at chaser. Too many plays ended up a fraction too slow, allowing Cavalry beaters to recover and clean up the play, or ended in a shot that was just the slightest bit off. If not for a quick run of goals from Joe Wright and Kedzie Teller, mainly in transition, this game could have ended even more one-sided. With snitch on pitch, Cavalry played it smart; slowed the game down; didn’t give Lone Star a chance to run away with it; and let their beaters and seeker go to work. In fact, Cavalry got the only goal after the seeker floor ended, a period that admittedly only included four possessions. It’s too early to allow one short-handed game to change impressions. Lone Star still looked terrifying with a more complete team at Breakfast Taco, and Cavalry still needed a snitch grab to beat Baylor 70*-60 earlier in the day. But even so, Monroe and his team got their win over the top team in the nation early this season, and the historical precedent is only up from there. The Oktoberfest Invitational at Hofstra University gave QC Boston the chance to make their claim for the best team east of the Mississippi, and the team did so with aplomb. It worked Kyle Jeon immediately into its beater depth chart and putting every single match out of range at a tournament that included just about every team that could make an argument for the title besides NYU and Florida’s Finest, the former of which was forced to drop from the tournament, the latter having played at Wolf Pack over the weekend. There isn’t that much to say about QC Boston, and if you thought I was going to say much anyway, you clearly haven’t read my writing enough. However, the question of which team is the coast’s second best team is far more interesting, and Oktoberfest results had a lot to say on the matter. Rochester United entered the tournament as co-favorites, but also entered it with a 12-player roster that was reduced to 11 by a likely concussion to Helen Snell halfway through the tournament. Playing without star quaffle player Jon Jackson, as well as arguably the team’s strongest beater in Josh Kramer, Rochester still managed to run up the score on every team they played, including the University of Miami, before falling to the University of Maryland in the semifinals. However, a good deal of the running up the score was with snitch on pitch, which is a compliment to their quaffle play, but yet another mark against their seeking game. I feel like a broken record at this point, but Rochester Whiteout was 1-4 in SWIM this summer, and United is now 0-1 SWIM to start this season. Rochester is a powerful force, but it isn’t going to put every team it plays all season out of range, and until it proves it can win a snitch range game, it’s hard to consider it the second best team on the East Coast. No, my favorite for second best team on the coast is Maryland, which, after losing to UNC at Turtle Cup and being left for dead, made an almost impeccable run to the finals of Oktoberfest. This squad is not your parents’ — assuming your parents are a year or two older than you — Terrapins, though it tried to be against the Tar Heels and failed miserably. Under the leadership of Jeremy Dehn, this Maryland side seems more malleable than ever. After still running out an old defensive beater scheme at Turtle Cup, it was incredibly aggressive in the bludger game this weekend, always looking to throw first to win bludger battles. It was almost willing to switch to a two-male beater set — to my knowledge the first one Maryland has ever played competitively — and sacrifice its fluid offense for a more straightforward approach backed by Dehn and Mike Madonna. The Terrapins’ trust was rewarded by Brenden Hutton, who could not miss in bracket play, creating offense by himself with his shot whenever the team could get him in the lane. Even for the first six minutes of the finals, Dehn and Madonna went toe-to-toe with Max Havlin, managing a 50-30 scoreline before Jeon entered the field and Boston ran away with it. The results could have been more definitive, as Maryland did need snitch grabs to beat both Miami and the 11-player Rochester side, but winning SWIM matches is valuable in and of itself, and that’s what the Terrapins were able to do this weekend. 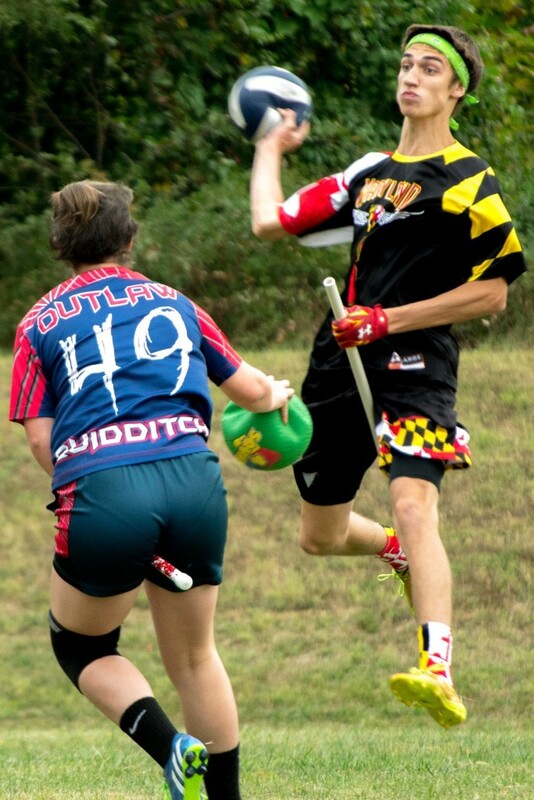 Despite the loss to UNC at Turtle Cup, this team has already shed its outdated ways and improved rapidly, and it’s hard not to see Maryland, once again, as the prohibitive favorites to win their third straight Mid-Atlantic Regional Championship.